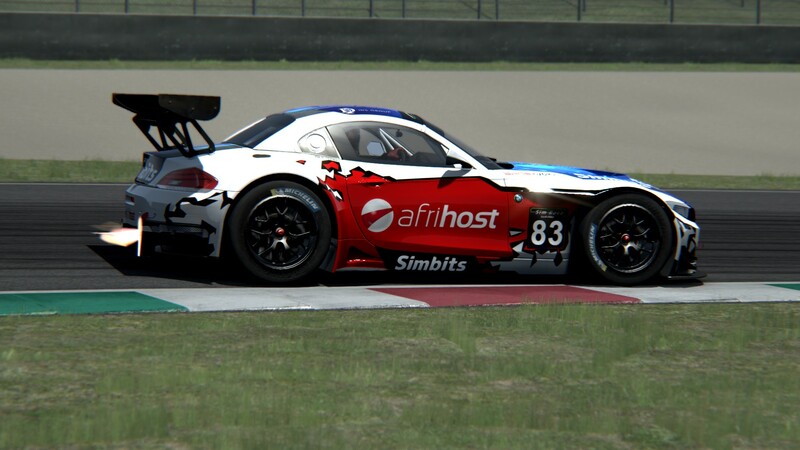 Basheer Jadwat, driving for Squadro GhostworX, won race one of the South African simGT Sprint round at Mugello. 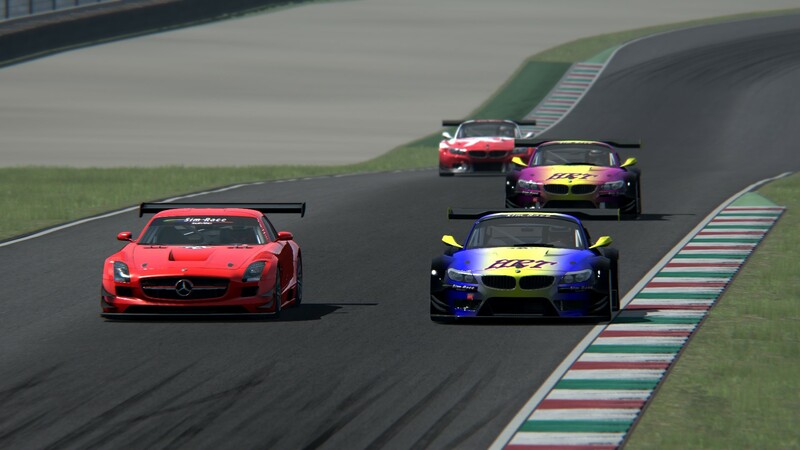 Starting from pole position, Jadwat maintained his lead, ahead of teammate Jonathan Bentz, into San Donato (turn one). Later on lap two, Bentz was unfortunate to run wide at Biondetti to fall to the back of the field. The four-way battle for fourth position. 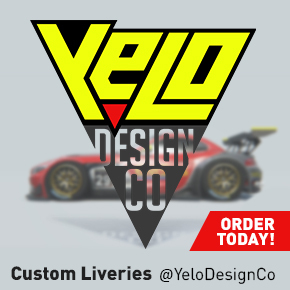 The opening lap also saw the start of a frantic four-way battle for fourth position between Jason Holden-Jones (H-J Motorsport), the two HRT entered BMWs of Chris Heyneke and Mark Henebury, and Boyd Bryson (Xtreme Racing). 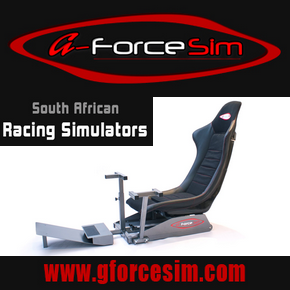 Holden-Jones was driving defensively which made for extremely close racing. On one occasion, at Bucine, Henebury found himself alongside Holden-Jones, only to fall victim to teammate Heyneke who opted to fall in behind Holden-Jones and to hug the inside line. Heyneke then launched his own attack, running the outside line alongside Holden-Jones into San Danato looking for inside line at the following corner. Unfortunately after contact with Holden-Jones, Heyneke was left to search for a way out of the grave trap at Materassi. Bryson moved two positions up after; an inside line move on Henebury at Bucine and an outside line move on Holden-Jones at San Danato. Later Bentz was next to challenge Holden-Jones for sixth position. After many attempts Bentz executed a thrilling pass around the outside of Holden-Jones at the high speed Casanova corner. Bryson passes Ragubber on the very last corner of the race. With two laps remaining Bryson set after the Phantom GhostworX BMWs in second and third position. Bryson had to wait until the very last corner of the race to pass Ragubeer and secure the final podium position. 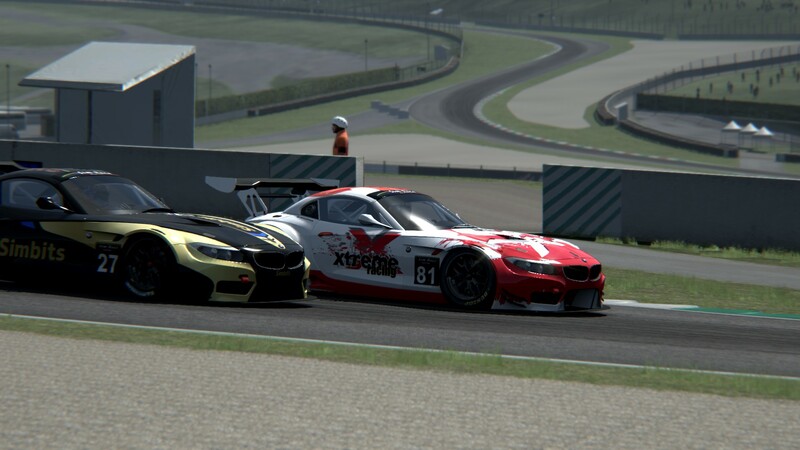 Basheer Jadwat, with an impressive drive, led flag to flag to secure his fifth win of the 2015.1 simGT Sprint season. “The lights go out and it’s a good start all round. Jono was sitting tight on Bash’s bumper for most of that first lap. A slight drop in grip caused by running in Bash’s dirty air meant a gap was starting to form. Jono unable to get power down to help turn the car in Mugello’s fast sweeping turns. Into the last turn Jono made an error where he clipped the dirt in the braking zone which pulled the car off track and deep into the sand trap. He rejoined the track in last place.